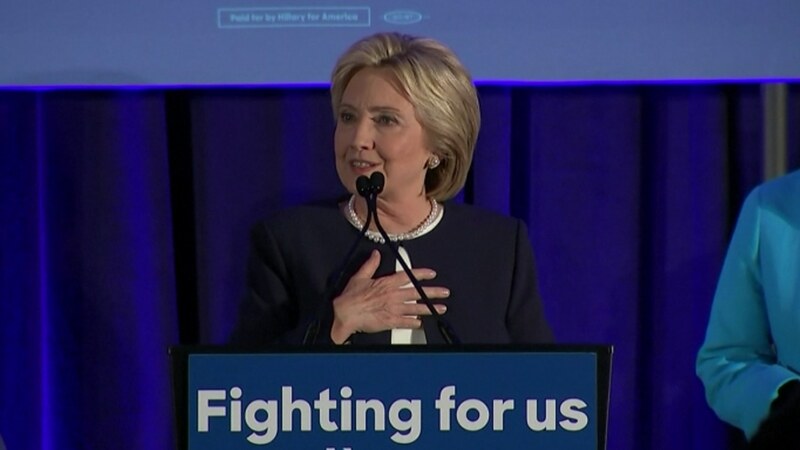 FORT DODGE, Iowa — Hillary Clinton on Friday called for a “hard look” at the visa waiver program that allowed a Pakistani woman to enter the United States and, along with her husband, kill 14 people at a social services center in San Bernardino, California. “Visas are a problem and we have to look at that and see what we need to do to tighten up requirements,” Clinton told reporters at a campaign stop in Fort Dodge, making comparisons to the 9/11 hijackers who also came to the country on visas. Tashfeen Malik was admitted through a fiancée visa — also known as a K-1 visa — to marry Syed Farook, federal authorities confirmed Friday. Both were killed by police Wednesday following the shooting rampage at the Inland Regional Center, which is now officially being investigated as a terrorism case. Clinton urged Congress to take a “very thorough and comprehensive look” at the visa program and stressed the importance of information sharing between countries. The Democratic front-runner also defended herself against Republican attacks for pushing gun control immediately after the San Bernardino mass shooting and before it was clear terrorism was a factor.